Our Mission: To help create a life in balance for teens, young adults and families in an environment of recovery and wellness. Potomac Pathways addresses ongoing recovery issues on a variety of levels that recognize the complex interplay of family, social systems and the individual's psychological and spiritual needs. Individual counseling helps to increase motivation, support positive identity formation, and identify addictive patterns; group work creates a supportive community where students come in contact with others who are exuberant about life in recovery; family work creates a space for deep listening, understanding and emotional healing. And that's just the beginning. 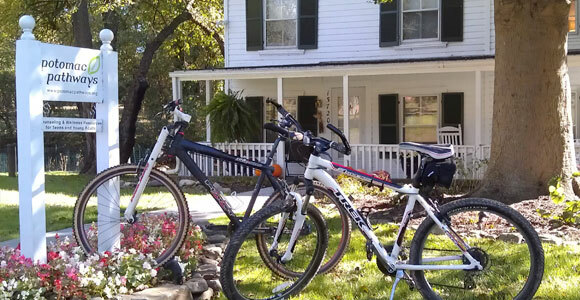 Potomac Pathways offers all of the above plus weekend adventure therapy events that blend "wellness" activities—like yoga for overcoming addictions, mindfulness meditation, and more—with outdoor adventure experiences like rock climbing, mountain biking, kayaking, equestrian therapy and much more!